Should Dave Parker be in the Hall of Fame? Editor’s note: This is the seventh installment of a daily series looking at players on the Modern Era Hall of Fame ballot, which will be voted on Dec. 10. We’ll look at the cases of all 10 people on the ballot and offer our takes on their candidacy. If there’s a common thread on the Modern Era ballot, it’s a number of hitters who had fantastic career peaks and who very well could have been in Cooperstown already had they sustained them. It’s true for Don Mattingly. It’s true for Dale Murphy and it’s true for the candidate we’re profiling today — Dave Parker. Parker’s rep is as big as his 6-foot-5 frame. He was big and loud, with the same type of bravado that made Reggie Jackson famous, and boy, could he play baseball. Parker became a star for the Pirates at age 24. He was in the center of the “We Are Family” Pirates that won the World Series in 1979. He won an MVP, went to seven All-Star games, has two World Series rings. 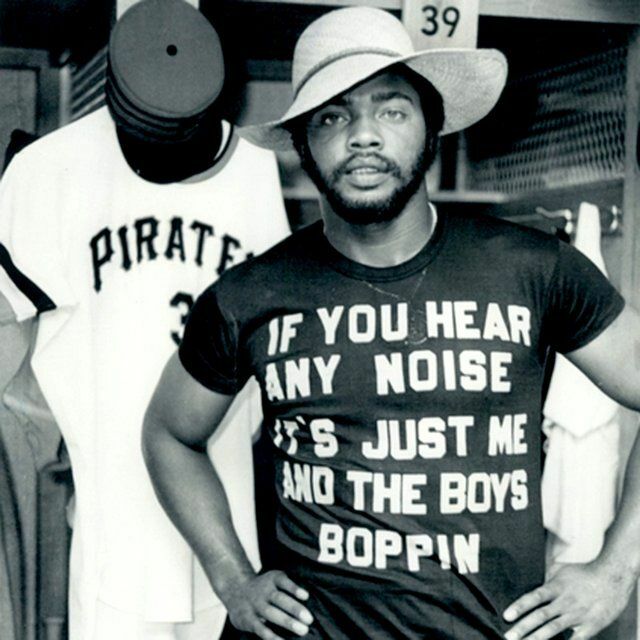 He was nicknamed “The Cobra” and wore that famous “If you hear any noise, it’s just me and the boys boppin” T-shirt. And if he was even halfway as good from 1980-1984 as he was from 1975-1979, he’d probably already have a Hall of Fame plaque. But his career hit a skid in the early ’80s — a big one — before a quality second-act in Cincinnati. It was enough to sidetrack what appeared to be a Hall of Fame career early on. Now Parker is looking for a second chance at Cooperstown like others on the Hall of Fame’s Era ballots. These ballots are cast by a group of 16 Hall of Famers, baseball execs and veteran voters. Each voter is allowed to vote for up to four candidates of the 10 on the ballot. Twelve of the possible 16 ballots are needed for induction. So let’s examine his case a little further and see whether the Big League Stew writers give Parker their unofficial yay or nay. Parker spent 15 years on the Baseball Writers Association of America ballot, but never got anywhere near the 75 percent threshold. In 1998, his second year on the ballot, he received 24.5 percent of the vote, his highest mark. He only cracked 20 percent twice and his final years on the ballot were pretty steady: 15.1, 15.0, 15.2 and 15.3. • When Parker was at his best, he was among the best of his era. From 1975-1979, his numbers were elite: .321/.377/.521, averaging 23 homers and 98 RBIs. The jewel of that time was his 1978 MVP season. • His Wins Above Replacement from ‘75-79 totaled 31.0, which is well on its way to a Hall of Fame total, as the average right fielder in Cooperstown has 73.2 WAR. • His second-act was great: With the Reds between 1985 and 1987, Parker returned to his big-bopping ways. Those three seasons, he averaged 30 homers, 113 RBis and a .280 batting average. • You could say Parker wasted many of his peak years. By 1979, his age-28 season, he was a perennial MVP candidate, but his next four seasons he *totaled* 3.4 Wins Above Replacement, which was about half of his 1978 MVP season. By 1985, he was an MVP candidate again, but the damage had been done, and in his prime years. • His 339 homers, for a big slugging type, don’t hold up to Cooperstown standards. • His involvement in baseball’s cocaine controversy of 1985 is something voters might hold against him, since Hall of Fame candidacy isn’t just about numbers but more and more about what kind of person you are too. Using the Similarity Scores on Baseball-Reference.com, Parker looks very much on-the-bubble. The most similar players are a pair of very good players — Luis Gonzalez and Torii Hunter. Gonzalez was one-and-done on the Hall of Fame ballot and Hunter hasn’t been up for election yet, but has an uphill case. The next most similiar to Parker are Tony Perez and Billy Williams, a pair of Hall of Famers. OUR TAKES: SHOULD PARKER BE IN THE HALL OF FAME?